My love for red lipstick is not a secret for anyone who know me. Of course, sometimes I go back to basics with more neutral tones, but during the holidays, I feel the urge of bringing back some life in my pale face! 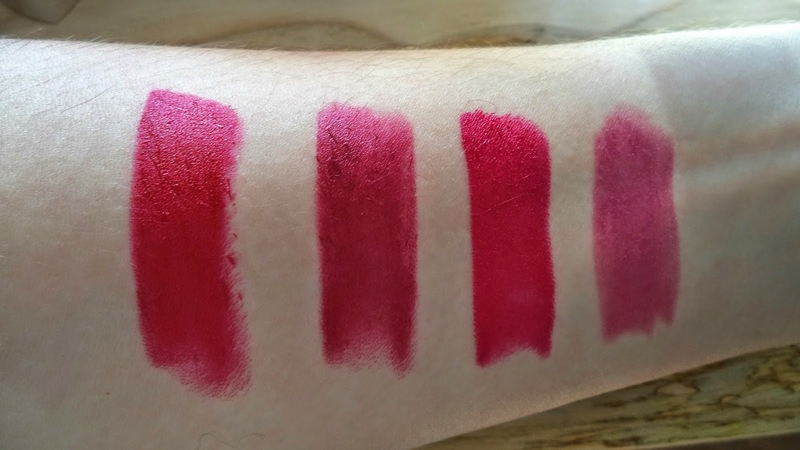 Here is a selection of four lipsticks and two glosses wich are perfect for winter! 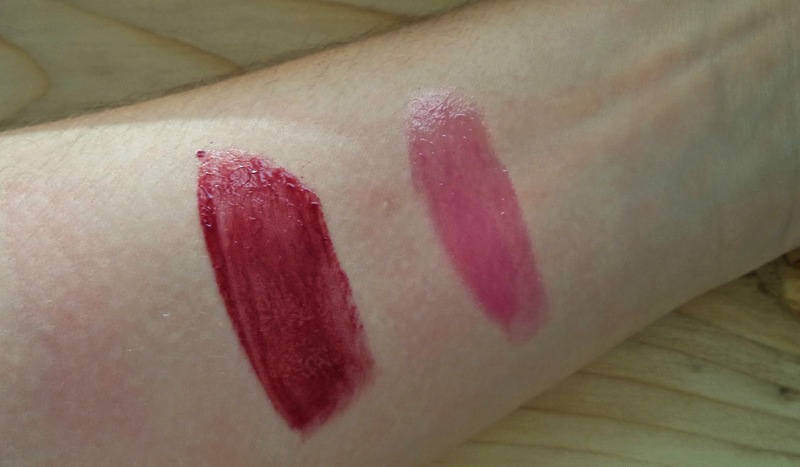 Rimmel Moisture Renew n°360 "As You Want Victoria"
Revlon Super Lustrous Gloss n°225 "Berry Allure". 1. L'Oréal Paris Color Rich Blake's Pure Red : This lipstick is one of my most recent discovery. I was looking for a rich and deep red with a pink undertone, wich would be more appropriate for winter than my other red lipsticks wich are more orange and more summer appropriated. The color is matte with a velvet finish, and is really hydrating. For those who are shy, attention this red is INTENSE! The color will stay all day long and will even stand the lunch test. 2. Rimmel Lasting Finish by Kate Moss n°107 : I love this lipstick! The color is darker, more "vampie" than the previous. It will stay all day long while keeping an intense color. Sometimes, when I am feeling more shy, I like to apply it with my finger and work the color into my lips. This create a more natural finish. The only bad point is its dry effect so I would recomand to add a little bit of lipbalm on top. 3. Rimmel Moisture Renew n°360 "As You Want Victoria" : This is more a pink thant a red, but I think the color will go perfectly with a blue sweat or a black dress. The texture is really creamy and hydrating. It will stay forever (a thing that I really like about the Rimmel lipsticks)! Only one bad point, it tende to go on my teeth.... but it is a risk when you choose to put a bright lipstick on, and luckily I have some amazing coworkers who tell me when it happens. 4. Revlon Super Lustrous Lipstick n°835 "Berry Couture" : I own this lipstick for more than a year now. Its texture is super creamy and hydrating. A thing that I like with this one is that you can play with the color by putting more layers for some intensity. Unfortunately, the color won't stay for hours, so you will have to put an other layer from time to time. 5. 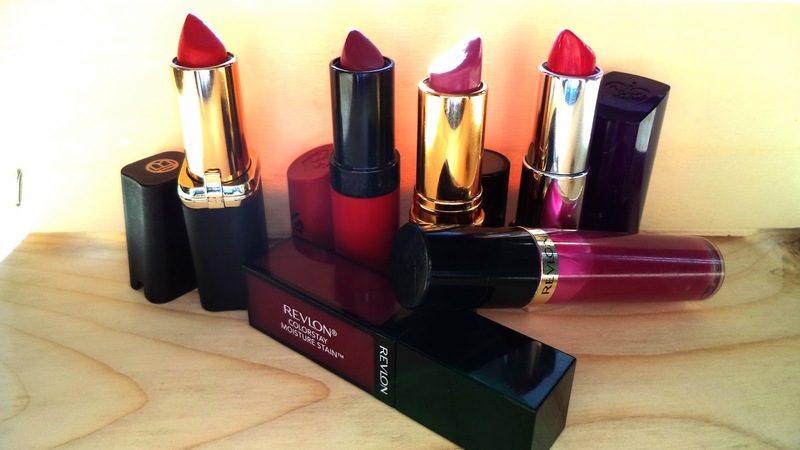 Revlon Colorstay Moisture Stain n°005 "Parisian Passion" : This lipbalm/lipstick/gloss is a recent discovery. At the beginning, the texture is muchy, too much glossy, and sticky, but you must continue to work on it! Then, you get a really hydrating balm with an intense color and a glossy finish, but without being sticky. I LOVE this lipbalm! And the color will stay for hours without losing its intensity. 6. Revlon Super Lustrous Gloss n°225 "Berry Allure" : I have this one for a while now! I love it because the texture is really light and non sticky unlike many glosses. I put it when I want a bit of color while remaining discreet. And you, what do you do to cheer up your life during the hollidays? Do you have other lipstick to recomand?